Back in 1998 I picked up Pimp: The Story Of My Life at the behest of a humorous article in The Source magazine listing books that were essential for anyone embarking on a criminal career. I had heard about Pimp for years, but had never read it. Unlike many other guys I knew, my fascination with the pimp game was casual at best. I always found drug dealers, mobsters and gang-bangers much more intriguing than pimps. For me they had always remained clownish figures of fun. Finally, I decided to educate myself. I bought a copy of Pimp and read from cover to cover. Allow me to provide a late pass breakdown for all the squares, simps, and tricks in attendance. Iceberg Slim (aka Robert Beck aka Robert Lee Maupin, Jr.) was an ex-pimp who unintentionally became the godfather of urban literature. He was born in the windy city on August 4th, 1918. He was sent to prison on a robbery charge but managed to escape. Thirteen years later he was captured and sent back. Upon his release, he squared up and changed his government name. 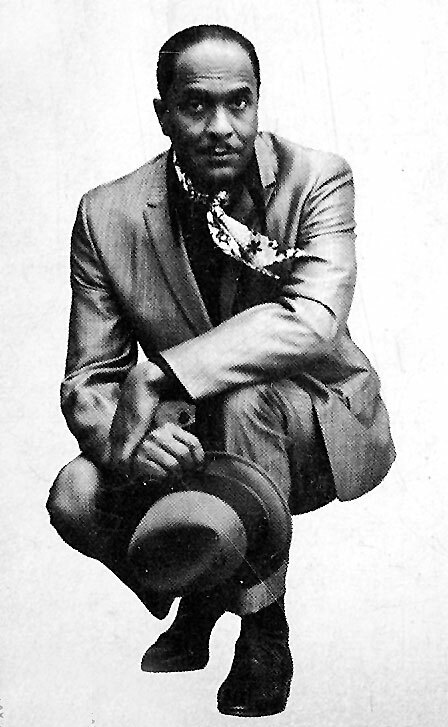 In 1967 he wrote Pimp: The Story of My Life which offered an unprecedented level of insight into the pimp game. By 1979 he authored six more books. He died of liver failure on April 30th, 1992 in Los Angeles. The L.A Riots raged as he passed on to the next life. Anyway, back to my experiences with his groundbreaking first novel. Frankly I found it to be rather boring. Iceberg Slim was obviously intelligent and articulate. The story was wrought with incredibly descriptive language and lurid details. Still, I found it a chore to get through. The story felt mundane outside of a few quirky touches, such as a glossary of pimp slang that was employed throughout the book. My distaste for the work of Iceberg Slim prevented me from seeking out his other literary works. I knew my attitude would be seen as blasphemous by his many acolytes, but I did not care. 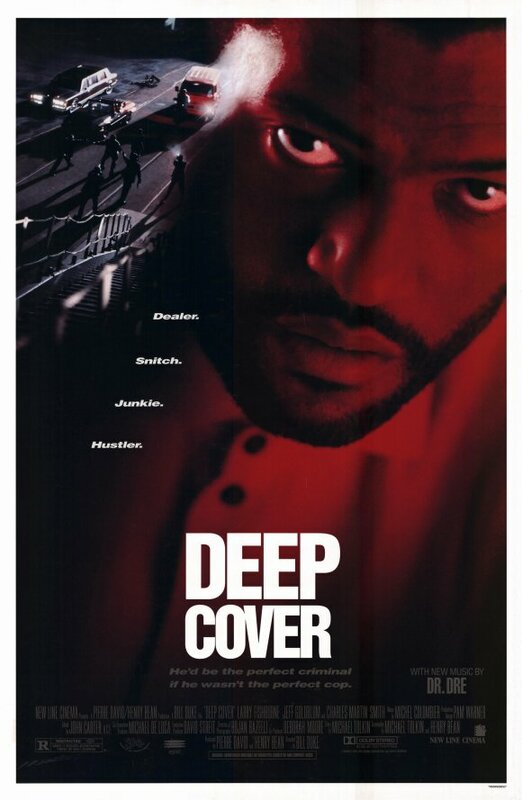 Movie Poster For Deep Cover, Which Featured Lines From The Iceberg Slim Poem "The Fall"
I first saw Deep Cover on its opening day in 1992. Though I didn’t know the genesis of those words at the time, I had the feeling that they came from some famous pre-existing material. Eight years later, in June of 2000, I saw the Hughes Brothers documentary American Pimp. American Pimp profiled some of the more prominent and legendary pimps of our time. 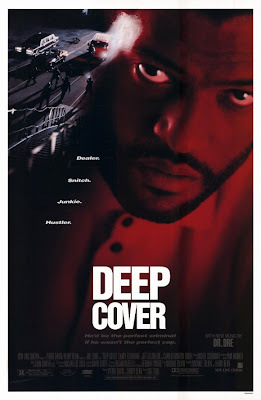 In the segment on Filmore Slim, I heard some of the exact same lines that Fishburne used in Deep Cover being recited spoken word style over mellow jazz music. The film’s soundtrack was largely comprised of classic soul and funk, so I figured the song I heard had to be from that era. For some reason, Iceberg Slim’s name immediately came to mind, perhaps because I saw it in the closing credits...it’s hard for me to recall. Either way, I filed it away in the vast recesses of my mental pop culture Rolodex. 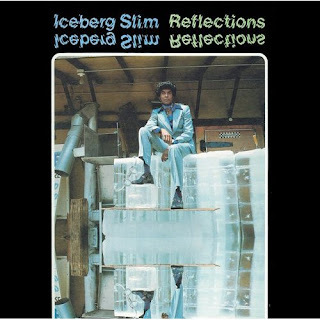 I recently recovered a copy of Iceberg Slims album of poetry titled Reflections, which was originally released in 1976. It runs over 50 minutes in length and consists of four selections. All are performed over that same mellow jazz music backing that evokes the ambiance of a smoke filled bar. Like his books, the poetry of Iceberg slim is awash in the language of the streets. Profanity, street slang and misogyny abound. The first selection, “The Fall,” is the poem that is featured throughout Deep Cover. The Premise is amusing and the rhymes are catchy, but at 20 minutes it goes on far too long. Of the four, the two shortest are surprisingly effective. “Broadway Sam” tells the story of a player who is riding high and enjoying the life until he is turned on to heroin by one of his hoes. Through his addiction he makes the transition from pimp to whore, turning tricks for male customers. “Mama Debt” has an autobiographical feel as it seems to be about Iceberg’s relationship with his own mother. The title refers to the kind of debt that a son can never repay to his mother, especially when his lifestyle breaks her heart beyond repair. The other two poems, “The Fall” and “Durealla,” are done in by their excessive length, running 20 minutes and 15 minutes respectively. Overall, the album was a mixed bag, but like Pimp it was not without merit. 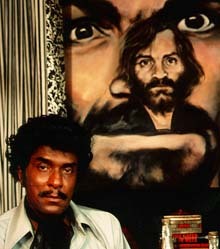 My curiosity about the late great Iceberg Slim satiated, I now file my experiences with his work away. I am thankful for its influence even though it left me largely unmoved. The pearls of wisdom contained therein are largely wasted on a square like me. Perhaps those with the icy cold blood of a true player will have their coats righteously pulled by the words of the Iceberg. He may have been cool in his day, but his philosophy leaves me numb.